The Light Thief is a strange, uneven fable that finds time to meander down a variety of unexpected avenues during its slender running time, and that sense of surprise is part of what makes it such an engaging film to watch. Directed by Aktan Arym Kubat, it's a whimsical blend of comedy, drama, satire and slice-of-life-documentary, with the director himself starring as protagonist Svet-ake, better known to his neighbours as Mr Light. Svet-ake earned this appellation by hooking into the city's power supply and diverting it to the homes of those who cannot afford to pay their bills. 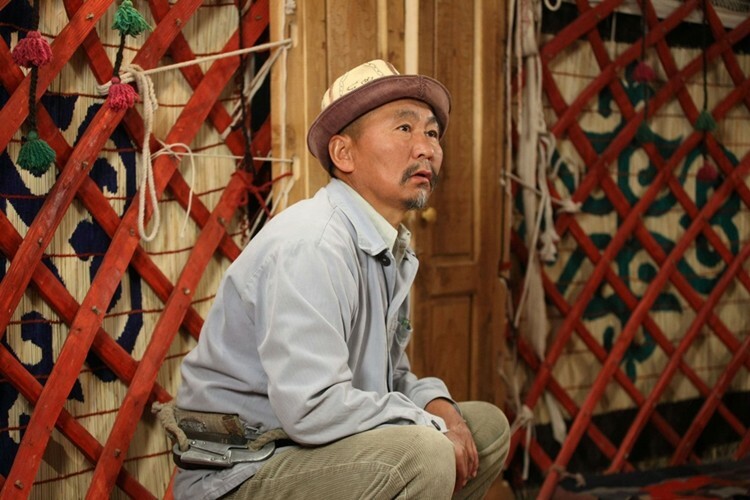 He's a kind of Kyrgyzstani Robin Hood, and much beloved by the villagers as a result, but not by the local power company. Despite having his close friend the mayor (Asan Amanov) appeal on his behalf, Svet-ake finds himself under arrest and subsequently out of a job. From here the story flows under its own steam and Kubat lets it lead us wherever it feels like leading us. He imposes a leisurely pace on the proceedings and doesn't feel the need to push the plot too hard, an approach that has both its virtues and its flaws. In its favour, The Light Thief – which occasionally feels like a number of loose vignettes casually linked together – serves up individual scenes that are witty, touching and culturally intriguing. There are surreal comic set-pieces, such as Svet-ake being electrocuted by a power line and regaining consciousness just as the mourners burying him have reached his neck, and quiet scenes between Svet-ake and his wife and children, which are marked by a genuine sense of intimacy and affection. The film also offers us a rare chance to see Kyrgyzstani life portrayed on screen, spending time observing some specific cultural rituals, such as a strange sport involving a dead goat that foreshadows some of the darker content to come. That darker element of the film, which announces itself rather abruptly, is a problem, though, and Kubat struggles to find a consistent tone as he veers between the comical, dramatic and finally tragic elements of his story. There are points being made here about Kyrgyzstan's turbulent recent history and current economic position, with corruption and self-interest frequently on show, to Svet-ake's dismay, but there's a lack of context to this element of the narrative. As a director, Kubat has a fine visual sense and an eye for striking compositions, and he's a solid actor too, imbuing Svet-ake with a decency and charm that makes him a thoroughly endearing hero. Our affection for this character, however, ensures the violent and jarring climactic scenes give this often disarming curio an unsatisfying finale.